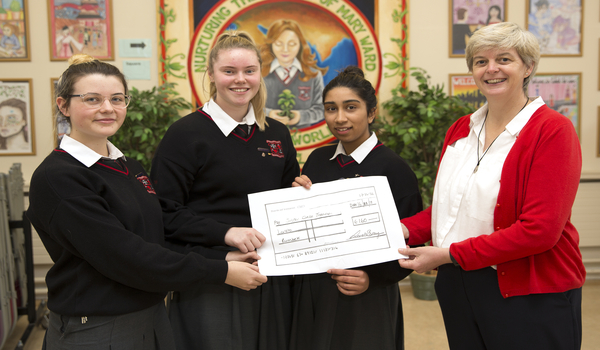 Samantha Brady, Beth Calally and Mahaam Rashid present Sr. Orla with a cheque for €160, monies raised from the sale of their students poetry book last year. 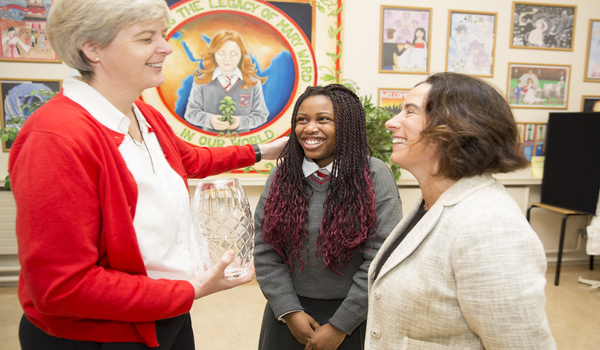 Sr. Orla meets Samantha Chigwedere, the first student to receive the “Sr. 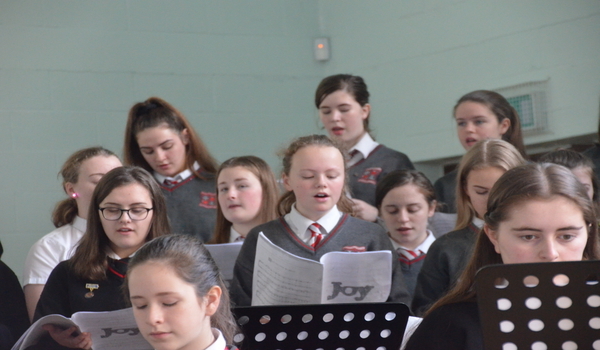 Orla Treacy” award at our Prize Giving ceremony last May. 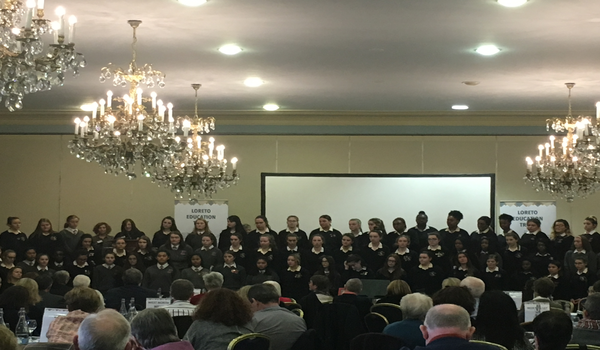 The choirs from Loreto Bray and Balbriggan sang “Come to the River” and the South African Zulu hymn “Siyahamba”, while the Samba group treated the audience to great Brazilian rhythm. Well done girls. Who has the cutest dog?